Reality, in fact, is usually something you could not have guessed. That is one of the reasons I believe Christianity. It is a religion you could not have guessed. If it offered us just the kind of universe we had always expected, I should feel we were making it up. But, in fact, it is not the sort of thing anyone would have made up. It has just that queer twist about it that real things have. So let us leave behind all these boys' philosophies—these over-simple answers. The problem is not simple and the answer is not going to be simpler either. What is the problem? A universe that contains much that is obviously bad and apparently meaningless, but containing creatures like ourselves who know that it is bad and meaningless. There are only two views that face all the facts. One is the Christian view that this is a good world that has gone wrong, but still retains the memory of what it ought to have been. The other is the view called Dualism. Dualism means the belief that there are two equal and independent powers at the back of everything, one of them good and the other bad, and that this universe is the battlefield in which they fight out an endless war. I personally think that next to Christianity Dualism is the manliest and most sensible creed on the market. But it has a catch in it. The two powers, or spirits, or gods—the good one and the bad one—are supposed to be quite independent. They both existed from all eternity. Neither of them made the other, neither of them has any more right than the other to call itself God. Each presumably thinks it is good and thinks the other bad. One of them likes hatred and cruelty, the other likes love and mercy, and each backs its own view. Now what do we mean when we call one of them the Good Power and the other the Bad Power? Either we are merely saying that we happen to prefer the one to the other—like preferring beer to cider—or else we are saying that, whatever the two powers think about it, and whichever we humans, at the moment, happen to like, one of them is actually wrong, actually mistaken, in regarding itself as good. Now if we mean merely that we happen to prefer the first, then we must give up talking about good and evil at all. For good means what you ought to prefer quite regardless of what you happen to like at any given moment. If "being good" meant simply joining the side you happened to fancy, for no real reason, then good would not deserve to be called good. So we must mean that one of the two powers is actually wrong and the other actually right. But the moment you say that, you are putting into the universe a third thing in addition to the two Powers: some law or standard or rule of good which one of the powers conforms to and the other fails to conform to. But since the two powers are judged by this standard, then this standard, or the Being who made this standard, is farther back and higher up than either of them, and He will be the real God. In fact, what we meant by calling them good and bad turns out to be that one of them is in a right relation to the real ultimate God and the other in a wrong relation to Him. In Mere Christianity Lewis lamented that we haven’t been trained to want Heaven: "…when the real want for Heaven is present in us, we do not recognize it." 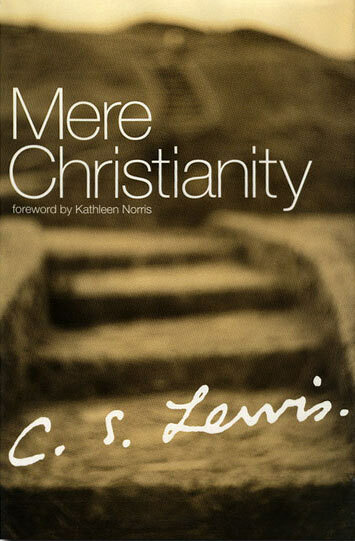 This is an excerpt from C. S. Lewis’s classic Mere Christianity. If you’ve never read the book, I highly recommend you do. And if you have read it, I think you’ll enjoy rereading it or listening to the audio, as I’ve done recently. Shortly before he died November 22, 1963 (yes, the same day as John F. Kennedy), C. S. Lewis granted his final interview to Sherwood Elliot Wirt, of Decision Magazine. It’s a fascinating interview. I found the final two questions and answers interesting. In this recording, Randy Alcorn answers a variety of questions related to the topic of Heaven, including questions about the millenial reign of Christ, resurrection, culture on the New Earth, and creation care. Recorded at the 2011 C.S. Lewis Summer institute at Oxbridge.